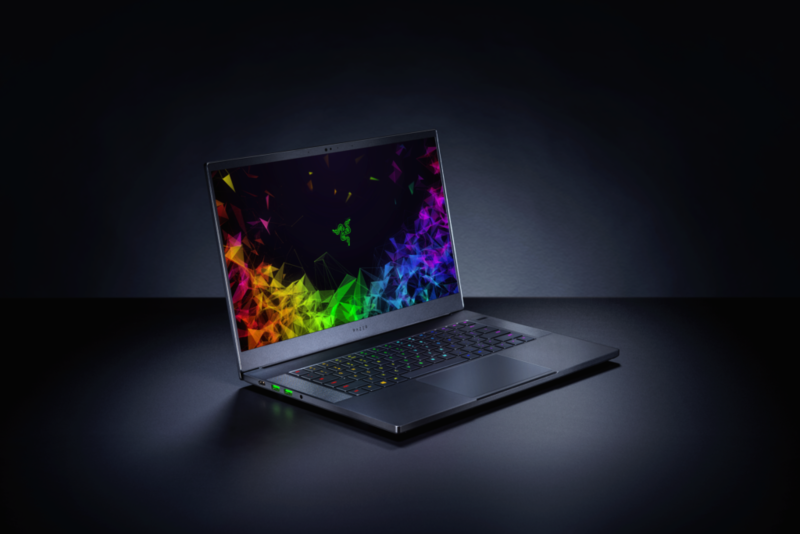 WHAT: Availability of award-winning Razer Blade 15 Advanced laptop in a variety of configurations featuring the latest NVIDIA Turing™ based graphics, ranging from a GeForce RTX™ 2060 up to a GeForce RTX 2080 with Max-Q design. All configurations are available with an Intel® Core™ i7-8750H 6 core processor and 16 GB of DDR4 2667 MHz dual-channel memory, fast SSD storage, a Windows Hello capable IR face camera and per-key RGB Chroma lighting, all in the world’s smallest 15.6-inch gaming laptop. WHERE: Razer.com and select retailers in the United States, Canada, France, United Kingdom, Germany, China, and Asia-Pacific region. The Mercury White GeForce RTX 2060 model is available only at Razer.com and Best Buy, while the Mercury White GeForce RTX 2070 model is exclusive to Razer.com. The Razer Blade 15 Base Model with GeForce GTX 1060 Max-Q design graphics is available from Razer.com and other retailers. WHY: The Razer Blade 15 Advanced Model offers mobility, longevity, and power all in one complete package to provide the best possible mobile experience for gamers and creators alike. With the ability to choose from a range of GPUs, either a 144Hz Full HD or 4K Touch 15.6-inch display, and expandable memory and storage, the Razer Blade 15 Advanced offers something for everybody. HOW: The new Razer Blade 15 Advanced Model utilizes the NVIDIA Turing GPU architecture and groundbreaking NVIDIA RTX platform to deliver the fastest, most realistic, AI-enhanced gaming experiences. Simulating the true behavior of light, ray-tracing brings real-time, cinematic-quality rendering to the most visually intense games. HOW MUCH: Starting at $1,599 for the Base Model with GeForce GTX graphics. GeForce RTX equipped Advanced Models from $2,299. For a limited time, all new Blade 15 GeForce RTX laptops will come with up to two games, Battlefield V and Anthem, at participating retailers in select markets. Additionally, RazerCare Elite protection plans are now available for all Razer Blade laptops starting at $299, providing a total of three (3) years of repair coverage including accidental damage, with 24-hour phone support, repairs with free 2-way shipping and more.